Buying a 2018 Mazda CX-5, and saving $1500 off of MSRP. 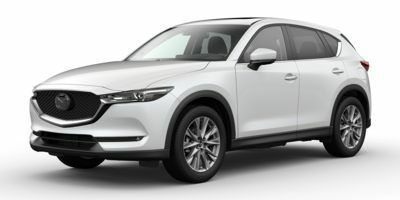 Buying a 2018 Mazda CX-5, and saving $2250 off of MSRP. Buying a 2013 Mazda CX-5, and saving $2500 off of MSRP. Buying a 2012 Mazda CX-9, and saving $6000 off of MSRP. I bought a demo car and used report to knock of additional $2000. I paid $44,247 as opposed to MSRP $50,415.00. Initially dealer was only willing to waive freight costs and with the help of report I was able to get more discounts, although I still think it should be discounted even more due to 15K mileage on it but the dealer was stubborn. Buying a 2010 Mazda CX-9, and saving $9000 off of MSRP. I ended up buying a demo. Great vehicle all around. Lots of space but still feels small-ish when you're driving. The dealership was as expected. The sales rep knew and contributed very little. The finance rep was excellent. Overall I'd recommend them with the caveat that it's still a car dealership so you have to expect to "play the game". 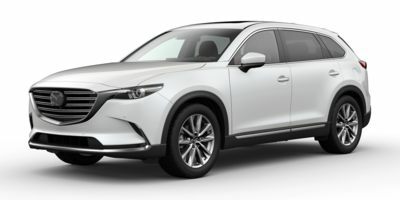 Buying a 2008 Mazda CX-9, and saving $10000 off of MSRP. The sales rep emailed me an offer within 30 minutes of me requesting the Wholesale Price Report from CarCost. The offer was very reasonable, and the sales rep was very responsive in answering questions. Other dealers were not as forthcoming with pricing; some insisted that I visit them in person to get pricing. Buying a 2012 Mazda Mazda3, and saving $1500 off of MSRP. Buying a 2012 Mazda Mazda3, and saving $4000 off of MSRP. As the dealership for the MSRP first and then check that for accuracy against the Car Cost Canada figures. Scarborough Mazda seemed very motivated to negotiate a sale. The only reason was the dealer was the closest to my home. The dealer accepted the Wholesale Price Report without any problems. Buying a 2011 Mazda Mazda3, and saving $3000 off of MSRP. Buying a 2011 Mazda Mazda3, and saving $1500 off of MSRP. I showed the dealer the Car Cost whole sale price then offered my price, they had a little discussion with their sale manager and then I got my car. It was simple, no hassle deal. I chose the vehicle based on recommendations and consumer reports. I was specifically looking for a hatchback that was large enough to be comfortable for a tall person like myself, comfortable for long drives, good on fuel consumption, good capacity for transporting large items and a great drive. It also had mostly all the features I was looking for as a standard issue in the GS model - which is the one I decided on. I chose the dealer based on the recommendation from Car Cost Canada. On reflection, I really should have gone to a different dealership as this one was actually not the closest one to me even though it is in the same location as I am. Also, the particular dealership was in the middle of massive renovations, so appearance-wise it was a disaster. A very uncomfortable environment to negotiate in. The salesperson offered great information, but unfortunately was still quite pushy even though he was aware I used the services of Car Cost Canada. I used the wholesale price report, subtracted any added incentives the dealership or manufacturer was given and added the minimal 3% commission (since the quick sale of a car after just 2 hours interacting with the customer, for an end of the year model only warrants a minimal commission). It was quite simple, however I still disliked the fact that negotiations were still involved, and I was given pushy sales techniques such as: "This offer is only good if you buy the car today" (it was 8:55pm and the dealership closed at 9pm). Quality of interior finishes, comfortable seats, engine size (168 horsepower) sporty look. Looked at many other cars in the class and felt Mazda 3 offered best value and features for the price. Called dealer and told him had CarCost report and asked what he could do for me. Never visited the dealership until ready to pick up the car. No back and forth, no negotiations. Just gave me an acceptable price right up front. Buying a 2010 Mazda MAZDA3, and saving $2500 off of MSRP. I didn't even mention the Wholesale price report. After test driving the vehicle, I got a call back a few days later. I asked what was they best price they could do. After giving me a number I went in and signed that evening. They went lower than the recommended CCC wholesale price + 3 - 6%. Research on the vehicle you intend to buy by reading up reviews on the internet and use the info in the wholesale price report as a tool for negotiation. What a pleasure to deal with a professional. Albert was great to work with. Once I mentioned car cost and that I was a member, Albert was very helpful. No surprises. He was also very responsive. I recommend him to everyone, and look forward to dealing with him in the future. Make sure that the agent and the company value you as a regular customer and won't treat you differently. Leasing a 2009 Mazda MAZDA3, and saving $1000 off of MSRP. Knowing you have room to move within your set budget is great because you can go for the little extras that you may not have been able to afford before the carcostcanada.com price. Do your homework first and be aware of the extras that will eventually be added to the price, from the accessories you want to your insurance premiums. If you intend to replace your car opt for an automatic replacement rider for your insurance during that year. You keep the same premiums (assuming there will be an increase in your premiums) until the anniversary of your insurance. I chose the Mazda 3 not only because of the low financing rate but it's really a fun and responsive car to drive. Negotiate with a price you can live with and ask for more discount if they can bend. I used the price report as the basis of all my computations. I knew what price I wanted and asked for it. As for the dealer, he made everything uncomplicated and exceeded my expectation. There was no pressure and in just a few hours we made a conditional sale, over the phone. I will do it this way again if I had a chance, in the comfort of your home, and walking away would be just as easy if you're not satisfied. Kudos to Albert, but I know I could have squeezed some more... On the day of delivery, being a weekend we were unable to resolve a problem with the insurance but they trusted us enough, and signed the documents, approved the inspection and then drove the car home. 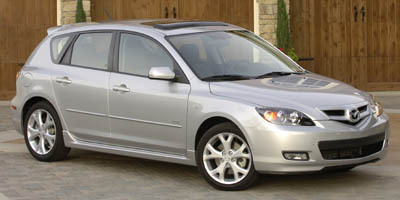 The 2008.5 Mazda 3 had zero percent financing but a new 2008 had a $4200.00 cash back, which was a much better deal. The Price Report helped to establish a fair price on the new car purchase. Because we didn't rush into the purchase, we became aware of the cash back deal through the price change alert. Buying a 2008 Mazda MAZDA3, and saving $2500 off of MSRP. Albert is a great guy. He did everything he said he would do. I would definitely reccommend him for anyone wanting to purchase a Mazda. Buying a 2008 Mazda MAZDA3, and saving $6000 off of MSRP. I chose the mazda3 because from my research, this car provides the best "bang for the buck". Also, it provided the features that I was looking for. I chose Albert because he was acquainted with CarCostCanada and he is a brutally honest sales rep.
Albert Pountney and everyone else at Scarborough Mazda were great. Albert took the time to explain everything in detail to make sure I knew everything up front. He guaranteed there wouldn't be any surprises later on. I will definitely recommend him to anyone I know looking for a Mazda. Your service was great and I'm happy I signed up for CCC. At Scarboro Mazda, they basically apply a small mark-up of a few hundred on top of the wholesale price. They were extremely transparent about everything which made the entire process an absolute pleasure. The Mazdaspeed3 has been garnering a lot of praise from reviewers in the industry, and while not the most fuel-efficient car, it's incredibly fun to drive! 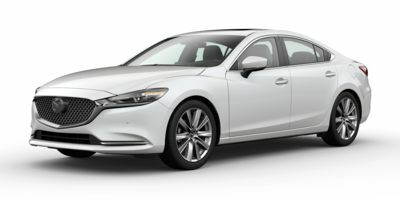 Buying a 2011 Mazda MAZDA6, and saving $7000 off of MSRP. I have owned several Mazdas previously and like them and wanted another if I could afford it. Mr Campbell knew I came to him from CarCost and showed me exactly the same numbers and incentives listing as I had. There was very little negotiation because we were all working with the same figures. 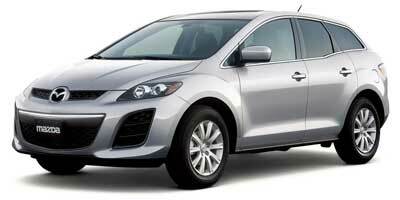 Buying a 2010 Mazda CX-7, and saving $2500 off of MSRP. Buying a 2008 Mazda CX-7, and saving $9000 off of MSRP. Your service saves a lot of leg work & time. Scarboro dealer was able to find the new model I was looking for within minutes & quoted the total cost which shows you the savings upfront - no surprises, no hassles. I am very impressed by how smooth the whole process went. Buying a 2008 Mazda CX-7, and saving $2000 off of MSRP. The report was not required as they came to the table with a fantastic price though the report was invaluable as it confirmed what a great deal I was offered. I would highly recommend Scarboro Mazda! 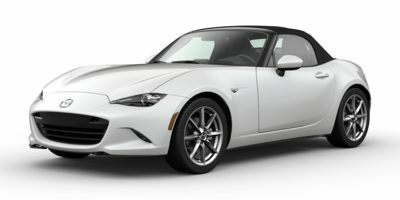 Buying a 2009 Mazda MX-5, and saving $10000 off of MSRP. Buying a 2008 Mazda MX-5, and saving $2500 off of MSRP. 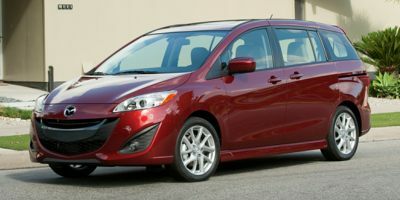 Leasing a 2009 Mazda MAZDA5, and saving $2500 off of MSRP. The Wholesale Price Report was useful in knowing how much negotiation room there was. Buying a 2009 Mazda MAZDA5, and saving $1000 off of MSRP. It was great, I called the recommended dealer at the bottom of the report and he gave me a mark up price on top of the wholesale price that no other dealer could come near. I was happy. I recommend these reports, they are the only thing a consumer has to go up against a dealer. Leasing a 2008 Mazda MAZDA5, and saving $1000 off of MSRP.